Has it become painful for you to do certain physical activities that you used to do with ease, such as climbing up a flight of stairs? If so, you might be dealing with a common health condition that affects your joints. What is this debilitating condition called you ask? The answer is arthritis. Read on to learn some more about it and what you can do to help treat it. According to the Arthritis Foundation, about 50 million people in the United States alone suffer from arthritis. There are three main types of it. The first and most prevalent type is known as osteoarthritis, where joints deteriorate due to a variety of causes, such as injury, age and obesity. A second primary type is called rheumatoid arthritis, where the joints essentially become inflamed due to the immune system attacking them by mistake. The third and final main type is known as juvenile arthritis, which occurs in kids up to the age of 16 years old. In addition to the joints, this type can also affect the gastrointestinal tract, skin, and eyes. What is more, not much is known about what exactly causes it. However, studies suggest that genetics might play a role in its development. A variety of ingredients are excellent treatment options for arthritis. One of the best is known as glucosamine, which is a natural chemical located in joint fluid. 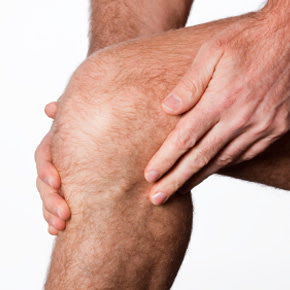 A second is called chondroitin, which is another natural chemical that is located in joint cartilage. A third is known as MSM or methylsulfonylmethane, which is a source of natural sulfur that your body needs for healthy joints. Basically, when taken together, these three ingredients are the perfect combination to help soothe and repair painful, damaged joints due to arthritis. Also, they can be used as a preventative measure against the development of the condition. Believe it or not, another way to help prevent and/or alleviate arthritis is through exercise. In fact, the United States Department of Health Services even says that there is solid evidence that shows that resistance and endurance kinds of physical activity can benefit those that are dealing with rheumatoid arthritis and osteoarthritis. Some examples of beneficial exercises are walking, weightlifting, bicycling, swimming, and yoga. As you can now see, arthritis does not have to be an incapacitating, painful condition. If you or someone you know is dealing with it, try out the effective treatment options stated. The bottom line is that no one has to let this ailment prevent them from living life to the fullest! Do you, a friend, and/or family member have arthritis? If so, share with us your personal experience with this condition.